'Compelling from start to finish...Downie does full justice to an extraordinary life' Pete Davies, author of All Played Out. A stunning new biography of Socrates, the iconic captain of the greatest Brazil side never to win the World Cup. 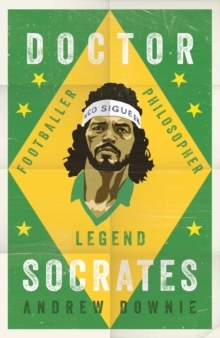 Socrates was always special. A hugely talented athlete who graduated in medicine yet drank and smoked to excess. The attacking midfielder stood out - and not just because of his 6'4" frame. Fans were enthralled by his inch-perfect passes, his coolness in front of goal and his back heel, the trademark move that singled him out as the most unique footballer of his generation. Off the pitch, he was just as original, with a dedication to politics and social causes that no player has ever emulated. His biggest impact came as leader of Corinthians Democracy - a movement that gave everyone from the kitman to the president an equal say in the running of the club. At a time when Brazil was ruled by a military dictatorship, it was truly revolutionary. Passionate and principled, entertaining and erudite, Socrates was as contradictory as he was complex. He was a socialist who voted for a return of Brazil's monarchy, a fiercely independent individual who was the ultimate team player, and a romantic who married four times and fathered six children. 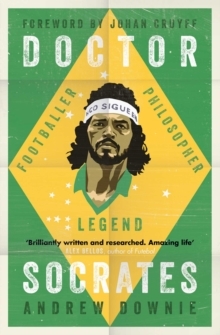 Armed with Socrates' unpublished memoir and hours of newly discovered interviews, Andrew Downie has put together the most comprehensive and compelling account of this iconic figure.